Machine learning is akin to artificial intelligence’s hardworking cousin. Computer scientists might discuss the ethical implications of AI-driven decision making. But, the rest of us interact with machine learning technologies throughout our daily lives. From online and offline shopping experiences to healthcare delivery and financial activities, machine learning is transforming our institutions. Retail and service industries use data to improve the speed of delivery. GPU, or graphics processing unit, technologies outperform older CPUs. When it comes to visualizing data and performing machine learning mathematics, GPUs rule the day. GPU-based computing speeds up inventory control, improves inventory forecasting and ensures your dog biscuits are in stock. Machine learning also reminds you when you might need to buy a fresh batch. Digital services depend on machine learning as well. Machine learning offers viewing suggestions and predicts your entertainment preferences. This is done so rapidly that you might not even notice a new program is loading. The same GPU-powered machine learning that recommends your next binge-watching session is used in the healthcare field. In this scenario, machine learning creates dietary recommendations for those on restricted diets. Predictive forecasting identifies patients at risk for genetic disorders or behavioral changes. Other uses include prescription recommendations and flagging abnormal results. At the clinic level, machine learning improves scheduling efficiency. But machine learning also lets providers match patients to specialists who can best assist them. Higher-level artificial intelligence is used for immunotherapies and genetic analysis. In this way, machine learning improves patient care at the clinic and hospital level. Machine learning crunches incoming data and offers insights into future behaviors. Within the financial industry, machine learning assigns risk to mortgage applicants. Credit card companies are a major end-user of machine learning as credit companies scour data collected from over 100 million users. Fraud detection is dependent upon consumer behavior analysis. As credit companies grow, GPU-powered machine learning technology keeps up with changes in scale. 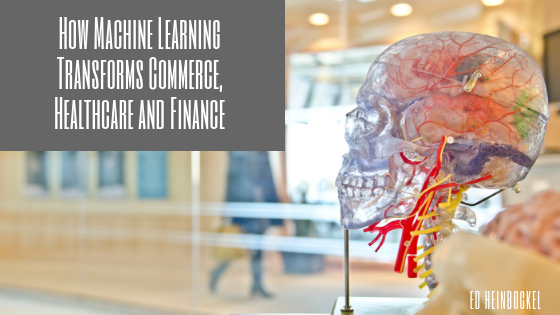 From healthcare to retail to finance, machine learning creates the efficiency needed to drive profits. In the past, machine learning was a data collection force that held a great deal of potential. Currently, and into the future, machine learning potential is being met. Machine learning provides rapid analysis and generates insights from massive amounts of data.